At the completion of this course, students will have learnt the fundamentals of Project Management.The course is aligned with the PMBOK® Guide 6th edition. Project Management Professional (PMP)® aspirants will earn 35 contact hours certificate at the end of the training. 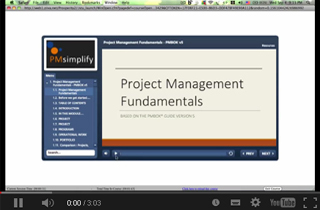 This 35 contact hour is an eligibility requirement for the Project Management Professional (PMP)® exam. Students who are certified as Project Management Professional (PMP)® will earn 35 Category A PDUs after completing this course.